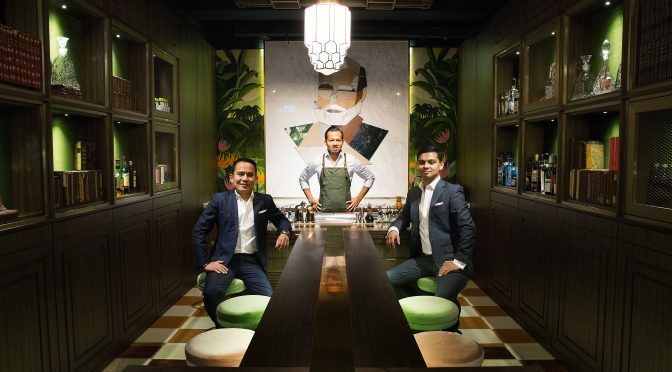 From 12-26 September, GIANDO, home to hearty Italian fare elevated with modern touches by renowned chef Gianni Caprioli, will join forces with Kin’s Kitchen, Hong Kong’s favourite cosy eatery for reinvented Cantonese cuisine helmed by chefs Lau Kin-Wai and Lau Chun to create an Italian x Chinese menu to shake up the city’s dining scene. Chef Gianni Caprioli of Giando has prepared a 6-course tasting menu, including Cantaloupe Melon Soup with spices, crispy ham, pistachio and Sichuan pepper; Golden Fried Sicilian Prawns & Calamari in Asian spices with Celery, Broccoli Garlic Purée and Spice Dip; Stir-fried Tagliolini Noodles with Smoked Roasted Chicken Mushrooms Broth Topped with Black Italian Truffles; Salt-Baked Orbetello Seabass Fillet with Mixed Herbs served Asian, Mediterranean or Cantonese Style; Peach Rice Wine Sorbet; and Bean Curd Skin Roll with Condensed Milk, Yogurt & Ginger Foam Lavender Syrup. 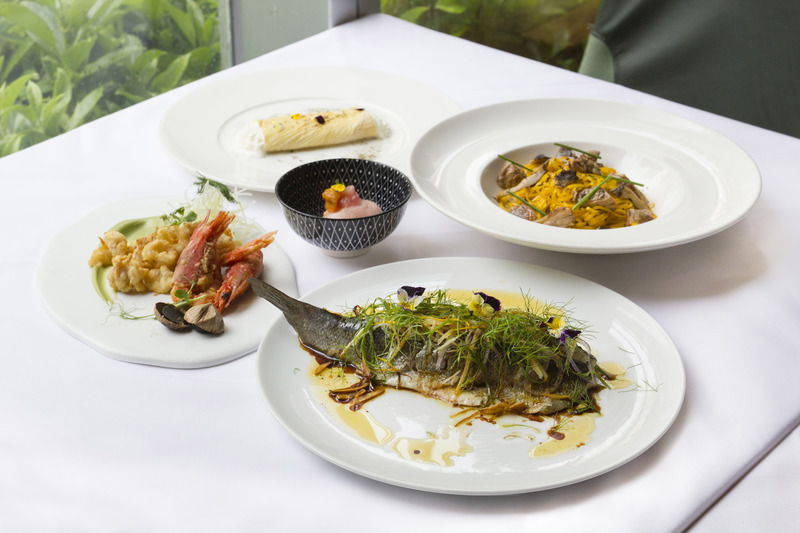 This special 6-course Tasting menu is available at HK$728 + 10% per guest at Giando. While the Lau’s from Kin’s Kitchen have created their own takes on Chinese x Italian cuisine, presenting a special 5-course Tasting Menu for the collaboration. The Stir-fried Burrata with lobster tail and tree mushroom combines techniques and ingredients from both cuisines, while the Braised Winter Melon with clams and pancetta takes inspiration from the classic Chinese comfort dish. The Fried Rice uses Italian pine nuts and Chinese Gainbajin. No traditional Chinese Dinner is ever complete without a Chinese style Steamed Cod Fish, with Italian Tomato and Chinese Olives. For something sweet, guests will enjoy an Italian Honeydew Melon Sorbet with a delicious kick from Sichuan pepper. This special 5-course Tasting Menu is available at HK$638 + 10% per guest, a minimum of one day advance booking is a must. From 21 – 23 September, the city’s most beloved hamburger restaurant Beef & Liberty will launch its latest pop-up at one Michelin-star restaurant, The Kitchen inside Grand Lisboa Hotel, Macau. Group Executive Chef Uwe Opocensky will showcase a number of signatures for guests to taste and enjoy. 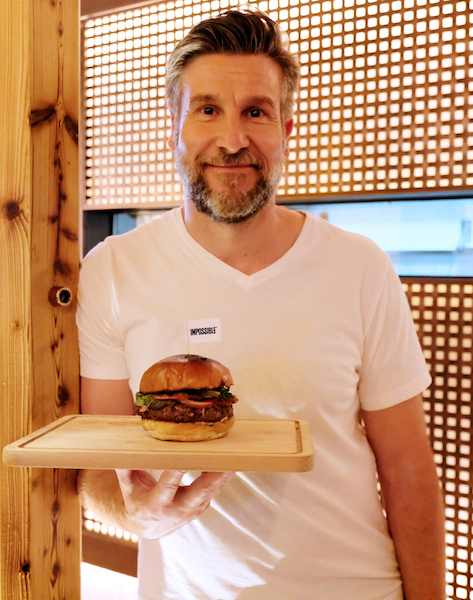 Highlights include Classic Hamburger, Bacon Cheese Burger and The Lobster Sandwich from the summer menu and the all-time vegetarian fan favourite, The Impossible Thai Burger. The Halo Burger is an exclusive item, which uses 3.5 weeks dry aged Scottish Beef, Comté, Onion and Mustard. Besides the classics, Chef Uwe will also bring over some snacks including crispy and juicy Chicken Strips, Scotch Eggs, Mac n’ Cheese Bites, Liberty Fries and Chilli Cheese Fries created with Impossible plant-based ground meat, cheddar cheese, spring onions, sour cream and Liberty fries. Lastly, guests can complete their meal with an indulgent Oreo Shot and Warm Cookie Skillet & Cream to end on a sweet note.